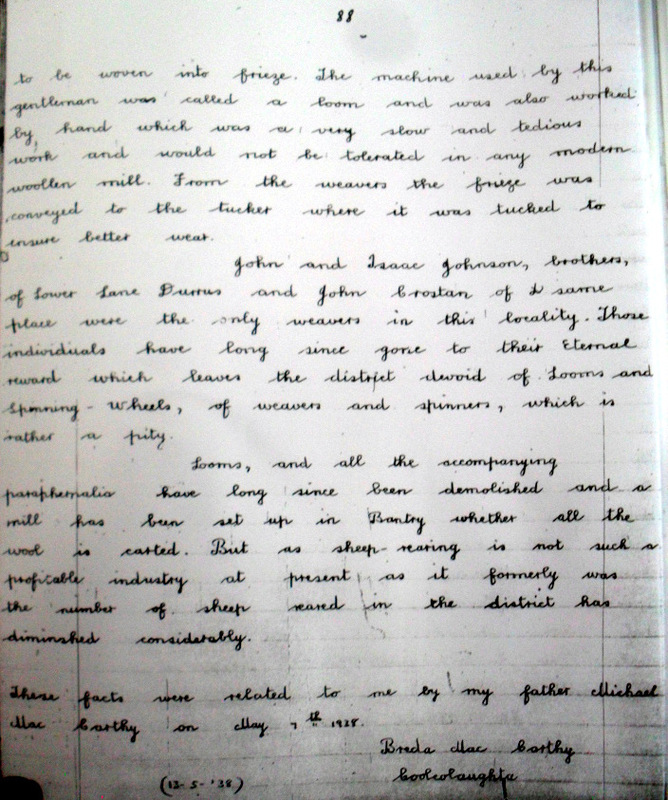 Spinning and Weaving John and Isaac Johnson and John Croston Weavers of Old from 1938 School Folklore Collection, Carrigboy National School, Durrus, West Cork. From Breda McCarthy, Coolcuaghta. 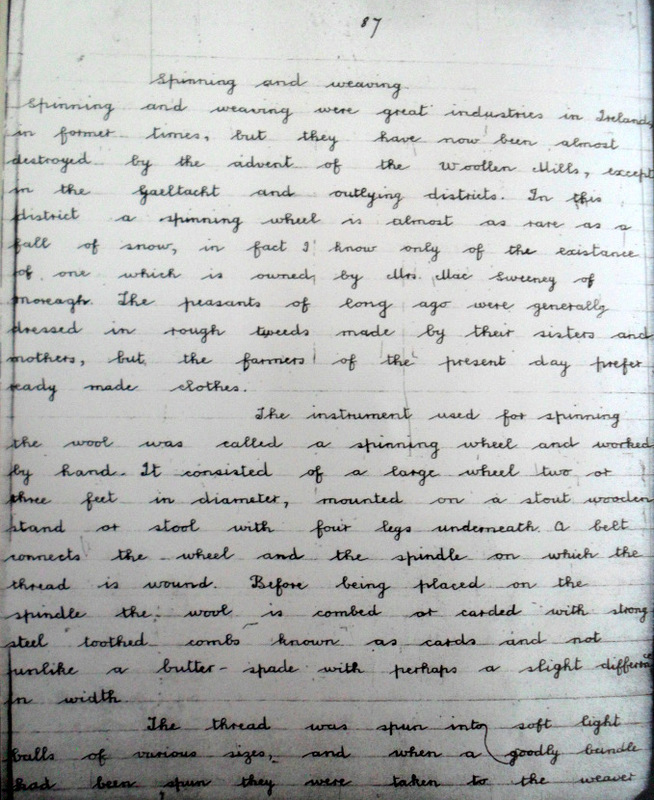 Spinning and Weaving John and Isaac Johnson and John Croston Weavers of Old from 1938 School Folklore Collection, Carrigboy National School, Durrus, West Cork. From Breda McCarthy, Coolcuaghta. Other families associated with same Brooks, Lannins and Millers of Dromreagh and Coolculaghta. The Crostons may have come originally as weavers from Croston in Lancashire. There were branches in Bandon, Schull and Durrus, Cathoic as well as Protestant branches like most West Cork Protestant families. There was significant emigration of these families to Canada, Bradford and Haverhill Massachusetts and Rochester, New York.